↑ "Why send durood on prophet(saws)". http://www.islamhelpline.com/node/7507। আহৰণ কৰা হৈছে: 13 March 2012. ↑ 2.0 2.1 Amir Ali Syed (1902). "1st" (English ভাষাত). The spirit of Islam; or, The life and teachings of Mohammed. প্ৰকাশক 54, College Street, Calcutta: S.K Lahiri & C0.. পৃষ্ঠা. 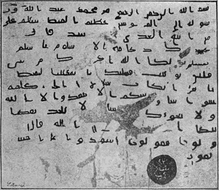 https://ia801407.us.archive.org/8/items/spiritofislamorl00alisrich/spiritofislamorl00alisrich.pdf. ↑ Morgan, Diane (2009). Essential Islam: A Comprehensive Guide to Belief and Practice. পৃষ্ঠা. 101. ISBN 978-0-313-36025-1. http://books.google.com/?id=U94S6N2zECAC&pg=PA101&dq=non-Muslims+Muhammad+%22founder+of+islam%22#v=onepage&q=non-Muslims%20Muhammad%20%22founder%20of%20islam%22&f=false। আহৰণ কৰা হৈছে: 4 July 2012. ↑ 8.0 8.1 Buhl, F.; Welch, A. T. (1993). 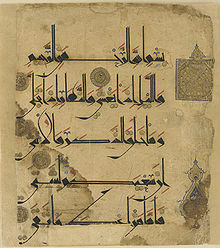 "Muḥammad". Encyclopaedia of Islam 7 (2nd ed.). Brill Academic Publishers. pp. 360–376. ISBN 90-04-09419-9. ↑ Tan Ta Sen, Dasheng Chen (2000). Cheng Ho and Islam in Southeast Asia. Institute of Southeast Asian Studies. পৃষ্ঠা. 170. ISBN 981-230-837-7. http://books.google.com/books?id=vIUmU2ytmIIC&pg=PA170&dq=zhu+yuanzhang+the+Hundred+eulogy+prophet's&hl=en&ei=d2o_TJHJFcG88gaHi62cBQ&sa=X&oi=book_result&ct=result&resnum=1&ved=0CDEQ6AEwAA#v=onepage&q=zhu%20yuanzhang%20the%20Hundred%20eulogy%20prophet's&f=false। আহৰণ কৰা হৈছে: 2015-03-17. ↑ Zvi Ben-Dor Benite (2005). The dao of Muhammad: a cultural history of Muslims in late imperial China. Harvard University Asia Center. পৃষ্ঠা. 182. ISBN 981-230-837-7. https://books.google.ca/books?id=5LfXAAAAMAAJ&q। আহৰণ কৰা হৈছে: 2015-03-17. ↑ Hyunhee Park (2012). Mapping the Chinese and Islamic Worlds. Cambridge University Press. পৃষ্ঠা. 120. ISBN 9781107018686. https://books.google.ca/books?id=W-2iWcxD2e8C&pg=PA120#v=onepage&q&f=false। আহৰণ কৰা হৈছে: 2015-03-17. ↑ J. Gordon Melton (2014). Faiths Across Time: 5,000 Years of Religious History. ABC-CLIO. পৃষ্ঠা. 929. ISBN 9781610690256. https://books.google.ca/books?id=bI9_AwAAQBAJ&pg=PA929। আহৰণ কৰা হৈছে: 2015-03-17. Conrad, Lawrence I. (1987). 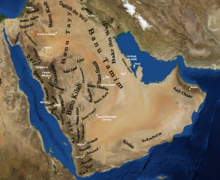 "Abraha and Muhammad: some observations apropos of chronology and literary topoi in the early Arabic historical tradition1". Bulletin of the School of Oriental and African Studies খণ্ড 50 (2): 225–240. doi:10.1017/S0041977X00049016. http://journals.cambridge.org/action/displayAbstract?fromPage=online&aid=3863868&fulltextType=RA&fileId=S0041977X00049016. Sherrard Beaumont Burnaby (1901). Elements of the Jewish and Muhammadan calendars: with rules and tables and explanatory notes on the Julian and Gregorian calendars. G. Bell. পৃষ্ঠা. 465. http://archive.org/details/elementsofjewish00burnuoft. ↑ Esposito, John L. (ed.) (2003). The Oxford Dictionary of Islam. পৃষ্ঠা. 198. ISBN 978-0-19-512558-0. http://books.google.com/?id=E324pQEEQQcC&pg=PA198&dq=muhammad+birthday+Rabi%27+al-awwal#v=onepage&q=muhammad%20birthday%20Rabi%27%20al-awwal&f=false। আহৰণ কৰা হৈছে: 19 June 2012. ↑ 26.0 26.1 Watt (1974), p. 7. ↑ Khan, Majid Ali (1998). Muhammad the final messenger (1998 সম্পাদনা). প্ৰকাশক India: Islamic Book Service. পৃষ্ঠা. 332. ISBN 81-85738-25-4.